Squad : Wriddhiman Saha, Abhinav Mukund, VVS Laxman, M S Dhoni, Suresh Raina, Praveen Kumar, Munaf Patel, Zaheer Khan, Rahul Dravid, Sachin Tendulkar, S Sreesanth, Ishant Sharma, Harbhajan Singh, Amit Mishra, Yuvraj Singh and Gautam Gambhir. The Indian squad for the four-Test series against England, which is the first part of their forthcoming tour, will be picked on July 2, Cricket Board sources said on Thursday. 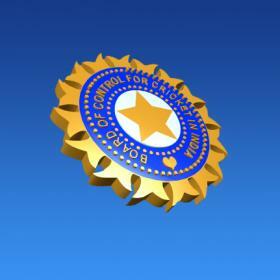 "The squad would be picked in Chennai on July 2," BCCI sources said. Incidentally, July 2 is the last day of the scheduled second India-West Indies Test in the current series and would be played at the Kensington Oval in Bridgetown, Barbados. Two members -- Surendra Bhave and Narendra Hirwani-- of the five-man selection committee, headed by Krish Srikkanth, are currently in the West Indies watching the Test series and are expected to join the discussions via tele-conference along with skipper Mahendra Singh Dhoni and coach Duncan Fletcher. The Indians conclude their visit to the Caribbean with the third and final Test scheduled at Roseau from July 6-10. Quite a few key members of the Indian team that won the World Cup on April 2 are missing from the touring party in the West Indies. Senior batsman Sachin Tendulkar had opted out of the entire tour to spend time with his family while regular openers Virender Sehwag and Gautam Gambhir, as well as pace spearhead Zaheer Khan, pulled out due to injuries. Tendulkar has made himself available for the entire England tour. Sehwag and Gambhir had shoulder problems during the Indian Premier League (IPL) and had to undergo treatment while Zaheer opted out due to a right ankle problem. Also missing from the West Indies tour were Yuvraj Singh, who was indisposed, but has declared himself fit for selection for the England visit, and S Sreesanth, who was also on the injured list of players with a right elbow problem. Ashish Nehra, who got injured during the semifinal of the World Cup at Mohali against Pakistan, also missed the tour to the Caribbean islands. World Cup winning-captain Dhoni skipped the Twenty20 and five-match ODI series before joining the team in the West Indies for the ongoing Test contest. India start their England tour on July 15 with a three-day warm-up game against Somerset county at Taunton before taking on the hosts in the Test rubber. The Tests are to be held at Lord's (July 21-25), Nottingham (July 29-Augut 2), Birmingham (August 10-14), and Kennington Oval (August 18-22). A two-day tour game against Northants is sandwiched between the second and third Test matches. After the Tests, the Indians would stay back and play a one-off Twenty20 International and five ODIs against the hosts between August 31 and September 16.